Pictures are my thing. I am the #1 fan of any company in which I can take my photos and put them on something. A cup, a blanket, a banner–whatever. You put my photo on it and I’m there. When it comes time for gift giving, I’m no different. I love being able to personalize someone’s gift by using 1. a monogram or 2. a photo. Sorry in advance if you’re on my list and this sentiment doesn’t apply for you. When, CardStore contacted me about reviewing their personalized photo cards. Uhh duh. Yes. I’m there. 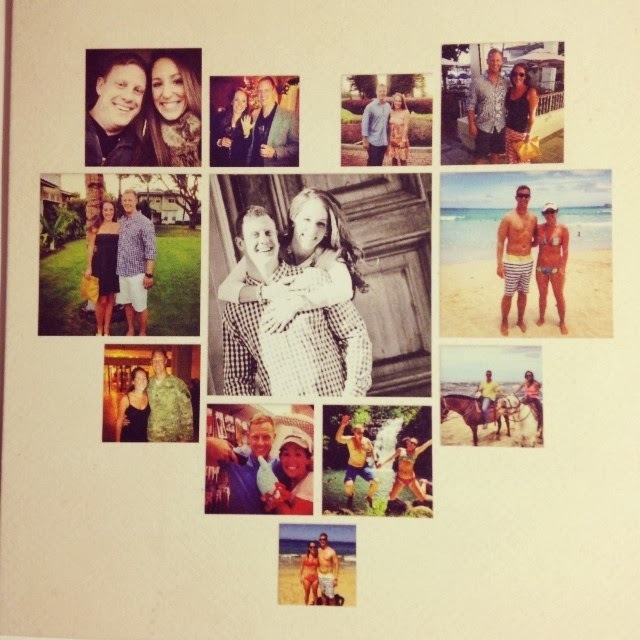 With Dane away, I thought doing one of their picture collage cards would be super cute to send over. My idea of super cute and Dane’s idea of super cute are slightly different, but I can’t help myself when it comes to MOMENTOS WITH PICTURES, people. Technology. Photos. Heart shapes. I’m just a pile of love over here. Now, the next part is where I’m feeling slightly crafty. Sure, this card is amazing all on its own and would be fabulous to open up, but we all (sadly) know what happens to cards after awhile. That’s right–circular file. Nay Nay, sweet, beautiful CardStore photo collage card. You, friend, are destined for a frame. I think it would be a sweet nightstand addition or special Valentine’s Day decoration–especially with the square gold frame I’ve been eyeing from Target. I might be a little biased, but I think it’s pretty perfect gift for all the loves in your life! I feel like a real adult now..
wordless monday–and how is it june already?